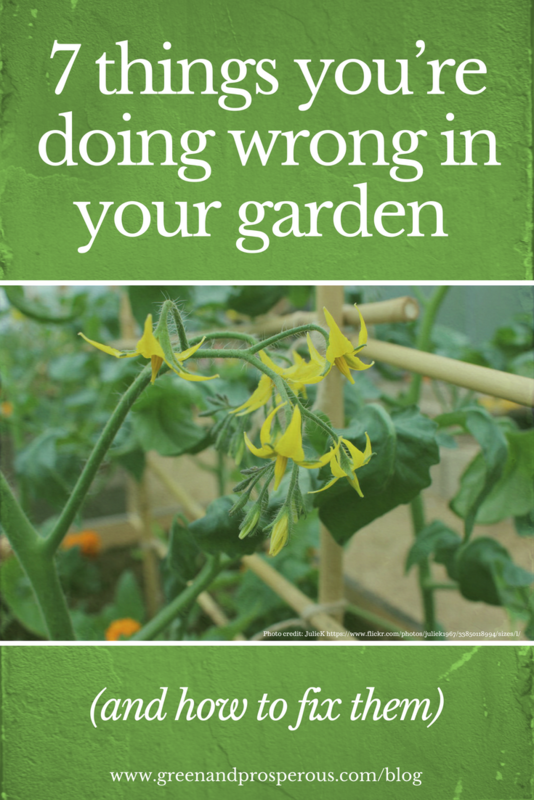 If you have been gardening for a while, you’ve probably realized that making mistakes is a big part of the process of learning. Even the most experienced gardeners make errors of judgment that can lead to a failing or otherwise unsuccessful harvest. Some problems are inevitable when it comes to growing your own food: weather changes can ruin a harvest in a single day, so if you are not prepared (or available) to act fast in case of unexpected frost, heat wave, extended periods of rain or humidity, or sudden insect infestation, all of your hard work can be ruined very quickly. Mistake #1: not paying attention to the quality of your soil. I can’t tell you the number of times I have seen growers simply begin planting seeds or transplants in soil that has not been prepped beforehand. Worse than that is simply re-using soil that has already been used, without adding anything into it, which means that vital nutrients have been depleted from this planting medium and it may contain pests or bacteria that are just waiting for a new host (your crop) to be planted in order to wreak havoc. If there is one thing I would tell you that is absolutely crucial to the success of your garden, it is soil preparation. Without it, at best, your crops will simply grow and produce something for you to enjoy now and again. At worst, your crops will fail to thrive, or will quickly succumb to diseases and pests. Since this is the most important thing you can do as a grower, I’m going to spell this out in some detail. Proper soil preparation does more than help your plants grow. It helps them prosper and enables them to better withstand stressors. A strong plant can tolerate the occasional drought, and a plant that is healthy and robust has a powerful immune system that enables it to fight pathogens. Plants with strong immune systems can even fight off garden pests using a variety of direct and indirect defense mechanisms. 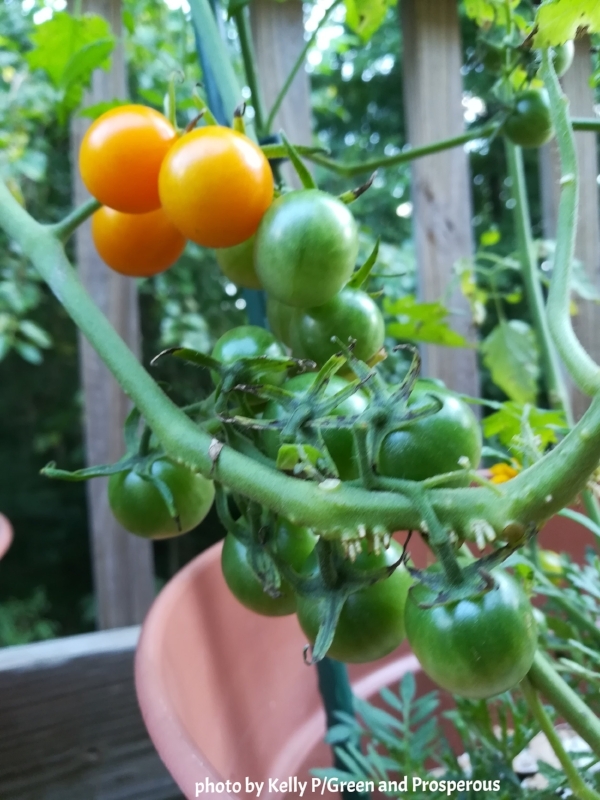 For example, healthy tomato plants produce a number of chemicals (enzymes, alkaloids, phenolics, proteinase inhibitors (PIs), and oxidative enzymes) that are usually present individually in the plant, but when it is in defense mode, work together symbiotically to cause digestive problems in the insects attempting to eat it, deterring the insect from causing major damage and encouraging it to abandon the plant altogether. Other plants produce structural deterrents, essentially emitting chemicals that do not affect its natural growth, but that make the plant taste unpleasant to the insect. To put it more straightforwardly, have you ever seen two identical species of plants side by side, with one thriving and the other suffering with yellowed or spotted leaves, or failing to produce many flowers (flowers are where vegetables and fruits emerge)? The healthy plant has a much stronger immune system – and defense mechanisms – than the suffering one, making it able to thrive even if the conditions surrounding it are not ideal. 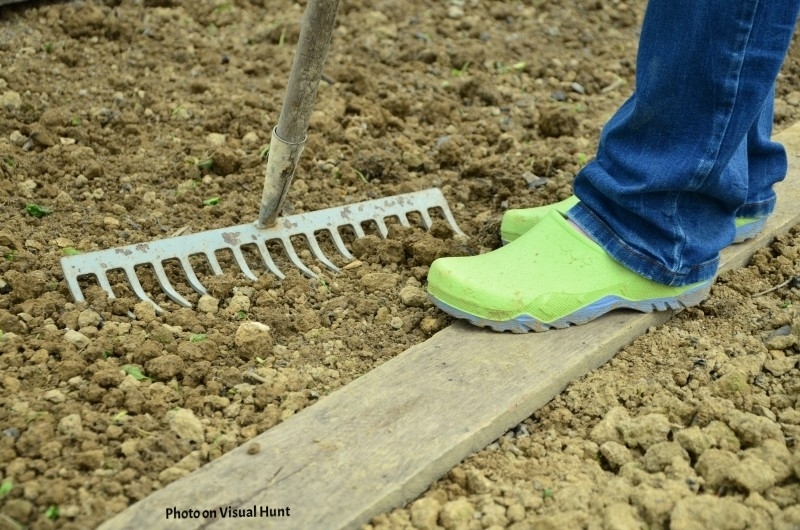 There are many ways to prepare your soil for planting. The best way to start is with a soil test to determine what you have to work with. You can also purchase commercial soil and add to it. The best thing to add is homemade compost (that way you reduce food waste and feed your soil), or the commercial variety. When I first began growing vegetables, I added worm castings and perlite to the soil. One provides it with a smorgasboard of vital nutrients and the other provides it with drainage. Pay attention to the drainage of the soil: most plants need soil with good drainage, but some do better with a soil that is dense and rich, while some, like rosemary, prefer soil that is less so. A relatively easy and quick way to improve the organic content of your soil is to add used coffee grounds. Contrary to popular belief, spent grounds are nearly Ph-neutral and do not make your soil more acid. Coffee can also be used in a number of other ways to improve your garden, as this post by House of Arabica reveals. We’ve all been guilty of this one time or another. Digging in different pots of soil with the same tool can be a recipe for disaster if there are pathogens hidden in the soil. What you effectively do, by not cleaning your tools between pots, is transfer pathogens from an afflicted plant (and you may not yet realize) that it’s afflicted, to a healthy one. Investing in multiple sets of trowels (small, hand-held shovels), rakes, pruning tools and spades will help you avoid cross-contamination. Better yet, give your tool a rinse with the garden hose or dip it in a bucket of treated water each time you move to a new pot to work in. You can also wipe with a damp cloth or paper towel. To disinfect your tools after you are done using them for the day, you can use ethanol or isopropyl alcohol, household disinfectants (preferably the eco-friendly kind! ), hydrogen peroxide, or vinegar. I use a 100% vinegar in a spray bottle to disinfect my tools when gardening and try to disinfect as much as possible. Soaking tools in vinegar overnight or for a few days also removes rust (even rust that has been caked on for years). What, you ask, is companion planting? Well I have recently tackled that topic in a blog post published on August 13. In a nutshell, companion planting means planting one kind of plant next to another or others that help it thrive. It can help you grow more in less space. Although there is a lot of debate in the scientific community about the proven benefits of companion planting, most experienced gardeners who use this technique report that it helps control or repel harmful insects, promote pollination, enhance the flavor of crops, add nutrients to the soil, and control weeds. What companions should you plant next to your crops? This is a more complicated matter than this post is prepared to deal with (so read the linked post above to find out more details), but a safe bet for virtually any crop is marigolds. Be sure, however, that the marigolds are not being crowded out by their companions. This will prevent the marigolds from flowering and thus, defeats the whole purpose. One alternative is to plant marigolds in separate containers next to your tomatoes, eggplants, or greens, and watch the pollinators (bees, ladybugs, butterflies, etc.) come to visit and do their helpful work in your garden. There are a number of reasons to avoid or minimize your use of pesticides (a category that includes herbicides, fungicides and molluscicides), whether synthetic or organic. The environmental devastation that is being caused by pesticides – they contaminate the soil and water and besides killing insects also harm local wildlife (birds, beneficial insects, fish, and other plants) – may now outweigh the benefits of their use (one exception being the use of insecticides to kill disease-carrying vectors, which has historically devastated human populations in developing countries, and which still account for many thousands of deaths from diseases like malaria in these countries). 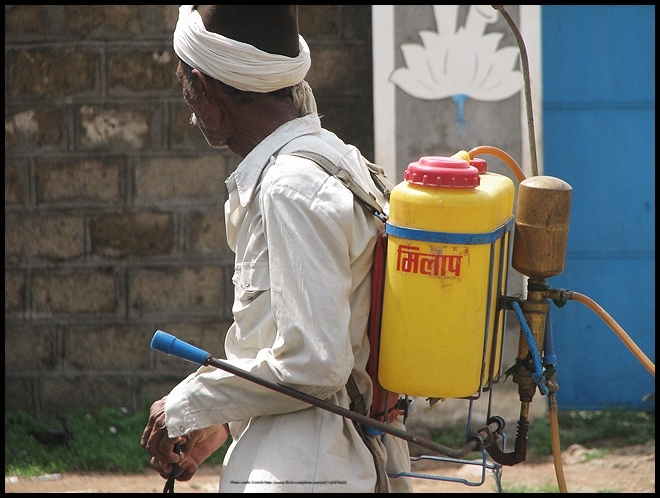 Some organic pesticides also cause harm to humans and the environment – although there has been much less research on their long-term effects. Whenever you shop for organic pesticides in your local nursery or home improvement store, or make your own, it’s important to remember that these products may harm more than the species they are intended to kill. While it is ultimately up to you to decide what kinds of pesticides to use, or whether to use them at all, you should make an effort to minimize their use by opting to grow plants that are as healthy as possible (and therefore better able to fight off disease and insects), using integrated pest management (IPM) techniques, or resolving to share some of your harvest with herbivore insects and other pests. This is a big one. If you are only giving your plants water, they will not grow to the best of their ability. Most growers with some experience use fertilizer, whether by adding homemade compost to the soil or by adding commercial fertilizer products – in pellet, powder, or liquid form. It’s generally a good idea to fertilize your plants once a week in the hot and warm months and once a month in the cold months (if you garden year-round). But knowing how much fertilizer to give is as important as knowing when and how frequently to give it to your plants. This is a more complicated question than it may seem, and it’s in part related to the question of which form of fertilizer you use, and whether it’s organic or synthetic. Organic fertilizers are derived from plants or other organic matter: compost, manure, or bone meal are the most common kinds. They add beneficial microbes to the soil and make it easier for the plants to absorb and benefit from water, but they contain plant nutrients in low concentrations and take longer to be released into the soil. They are also more expensive than synthetic fertilizers. However, they leave more room for error: if you add a little too much to the soil, it generally won’t damage or kill your plants. Synthetic fertilizers are usually made from by-products of the petroleum industry, like ammonium nitrate, potassium sulfate, and ammonium phosphate, and contain a narrower spectrum of nutrients in higher concentrations. This means that the nutrients are more readily available and can quickly revive a dying or malnourished plant. However, because they are used up so quickly, they need to be applied more often. It is also easier to make mistakes with these fertilizers, so that if you over-fertilize (especially using a liquid synthetic fertilizer), it can quickly damage or kill the plant. The remedy for this is usually to rinse the affected plant with lots of water, letting the water flow out of the bottom of the pot. However, you need to act quickly to save a plant that has been given too much synthetic liquid fertilizer. I have been guilty of this one myself, most dramatically during my first attempt at winter gardening almost 3 years ago. Even if you don’t garden through the winter months, it’s important to pay attention to fluctuations in the weather, especially severe ones (like an unexpected frost or wind storm). Scorching heat waves, prolonged periods of rain and humidity or cloudiness, or drought (which in some cases may result in your municipality placing strict limits on the amount of water you may use for your plants and lawn) can all have terrible effects on the viability of your crops. This is where container gardening really presents advantages over in-ground gardening, because you can move your plants closer to the siding of your home, or under eaves or other shelter (such as a patio umbrella) to protect them from the elements. If you have an in-ground garden, covering with garden plastic, floating row cover, plant protector, greenhouse tarp, or burlap can provide temporary protection from the harsh elements. Collecting water with a rainbarrel or watering your in-ground plants for long stretches of time with a soaker hose to encourage deep rooting (which helps plants withstand periods of drought) are a few other ways you can mitigate the effects of bad weather or extreme fluctuations in the climate. Think you know a lot about gardening? You can always learn new things, and better ways, to grow, by asking others with experience and know-how. One of the biggest mistakes experienced and neophyte gardeners alike make is over-reliance on their own experience and knowledge. Whether you ask questions at your local nursery, take master gardening classes at your local university extension or community college, or try an online course, the most successful gardeners are usually those who are willing to continue learning and growing in their knowledge. Interested in taking an online course on gardening? Green and Prosperous is offering its first-ever online course, “Container Garden Like a Pro.” This course marshals my own 2-decade experience of growing as well as the expertise of several other experienced growers (professional and amateur). You’ll be able to see a preview of the course and enroll (if you choose) by the end of this month (August). If you sign up to become a subscriber, you’ll also be able to take advantage of subscriber-only course discounts and bonus materials, and you’ll have immediate access to our free resource library. Just click the button below to get started.